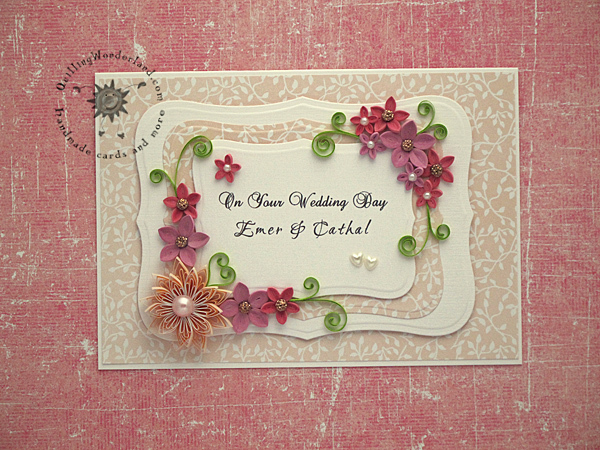 The time has come!I made this card a while ago but you know the rues of wedding gifts. It has to be hidden to THE DAY. All the best for Emer and Cathal!! As I mention in my earlier posts I love the look of 3D cards. 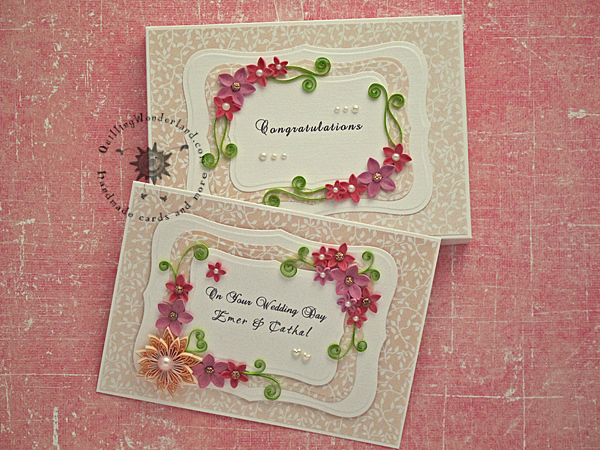 They look great with quilled flowers. Maybe because they do not have to stay flat and they look more vivid/real. This card is another from my boxed card series. Looks more elegant and it is much more safer to transport ( unless you have to watch out for delicate paper flowers on a box. Oooops 😉 ). Anyway any trouble is worth it. This is one of a kind gift! 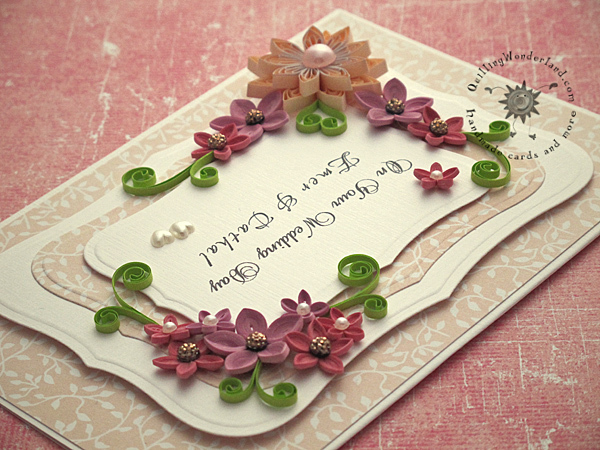 Flowers are made of 1 mm paper strips. Except the big salmon one. It is made of standard 3 mm strips. Card is a standard A6 size. The box is made of 2 A5 size sheets of 220 gsm card stock. 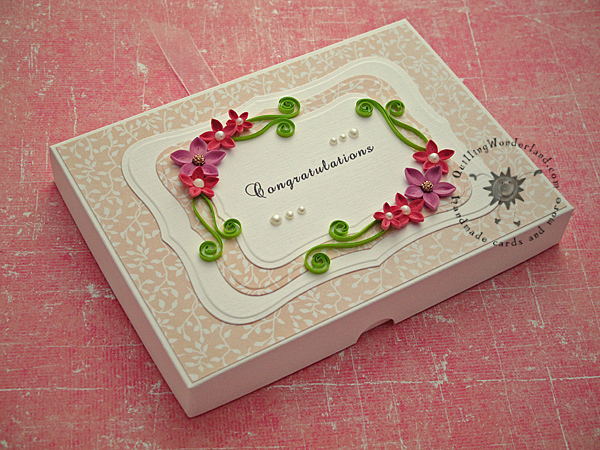 Here you can find my tutorial how to make a box for a card. Ps. If you are wondering why I made another card in pink… do not ask me 😉 Maybe because this year, summer is not summer… We have loads of rain and wasps. I miss the sun and colours. Especially the bright ones!